"It was not a business, it never is a business, although we observe some business practices, like paying our taxes and rent. It's more living a good life and healing people who come to the store by giving them good stuff. I just had the utmost faith a good bookstore is essential for a city." 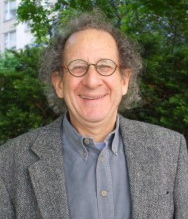 The Book Industry Study Group is awarding its 2019 Lifetime Service Award to "book industry observer, consultant, and futurist" Mike Shatzkin, who will be recognized at BISG's annual meeting on April 26 in New York. BISG executive director Brian O'Leary commented: "Mike Shatzkin has dedicated his career to helping the book industry identify and solve its most pressing problems. From digital publishing to agency pricing to climate change, he has led the conversation about what's best, and what's next, for book publishing." Shatzkin has been a part of book publishing for more than 50 years. He founded and is CEO of the Idea Logical Company, the consulting company whose clients have included a range of publishers, Ingram, Barnes & Noble and Borders. He's also written or co-authored eight books, including The Book Business: What Everyone Needs to Know, written with the late Robert Paris Riger, which will be published by Oxford University Press in March. He has a regular blog called The Shatzkin Files. With Michael Cader of Publishers Lunch, he founded and ran Publishers Launch Conferences, which for a decade staged industry education events focused on digital change from a global perspective. He also has been an editor, a production manager, a sales director, and has sold rights in many venues, including for Hollywood development. 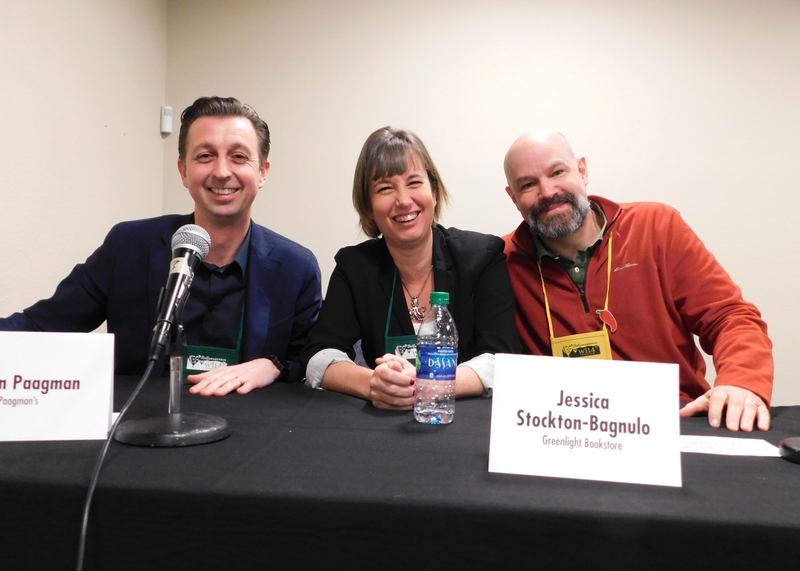 His early experience, including a stint as sales and marketing director for a distributor, saw him engage with a wide range of small publishers. Shatzkin specializes in helping the industry deal with change, particularly as it relates to digital strategy and the publishing supply chain. We can also attest to his acumen as an observer of politics and sports. Congratulations, Mike! That Book Store in Wethersfield, Conn., which opened last July, was recently issued a tavern permit and "now offers beer, wine and cider to patrons ages 21 and up," the Hartford Courant reported, adding that "visitors can drink their beverage of choice at a selection of cafe tables surrounded by bookshelves in the center of the bookstore. Just no browsing with a beverage in hand." "It's a common space. A place you want to hang out and have a drink without it being pretentious. It's not going to be a bar. It's always going to be about the books," said co-owner Karen Opper, who approached the town plan and zoning commission shortly after opening to request permission to serve alcohol. She then went to the state and applied for a liquor license and tavern permit, which went into effect this month. That Bookstore is currently offering two varieties of wine, a cider and two beers. Opper is planning to bring in four to five more varieties of wine and a few more beers by local Connecticut brewers. "We want to support our local brewers and we really want to push local,” she said. Opper hopes the liquor license will increase the popularity and frequency of gatherings at the bookshop. "We feel a lot closer to the community," she said. "We want to be a hub for people.... We have a lot of book clubs who want to meet here, especially now that we have a tavern permit. Someone also reached out and asked whether they could host a philosophy group here. We're also starting a monthly trivia night on Valentine's Day. Of course it's going to be literary themed but we have other themes lined up, as well." Nominations are now open for the WNBA Pannell Award, which is co-sponsored by the Women's National Book Association and Penguin Young Readers Group. 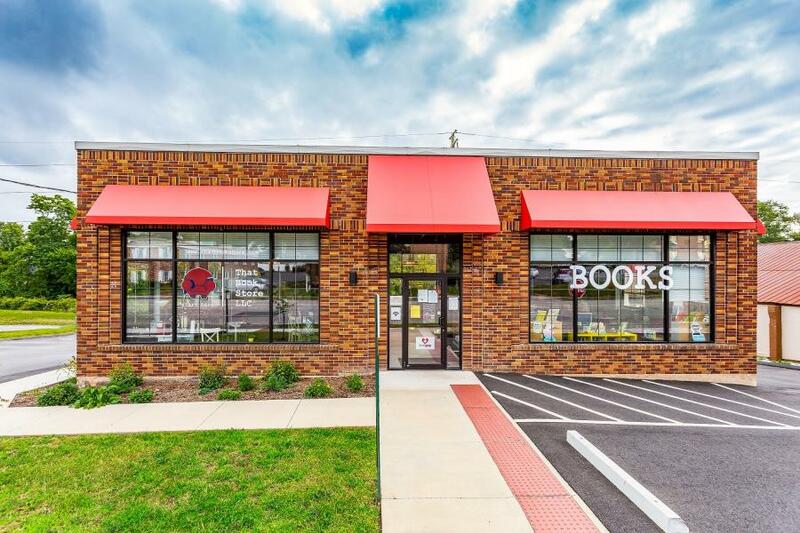 The award recognizes "bookstores that enhance their communities by bringing exceptional creativity to foster a love of reading and books in children and young adults." One Pannell Award is given to a general bookstore and one to a children's specialty bookstore. Nominations can be made by customers, sales reps, bookstore personnel or anyone else either by completing the online nomination form or by sending an e-mail to WNBAPannell@gmail.com. Nominations need to include the name, e-mail address and phone number of the person making the nomination; that person's connection to the nominated store (such as customer, owner, employee, publisher); bookstore name, address and contact information for the bookstore owner/manager; and a brief statement outlining the reasons for nominating the store. Nominations must be made by February 21, after which the WNBA Pannell Award co-chairs will reach out to all nominated bookstores to request a formal electronic submission. Once the jurors have reviewed all submissions, the winning bookstores will be notified by phone and all submitting bookstores will also receive a call. Each of the two winners receives a $1,000 check and a framed, signed original piece of art by a children's book illustrator during a presentation at BookExpo's Children's Book and Author Breakfast this May in New York City. British novelist Rosamunde Pilcher, author of "the sweeping, bestselling family saga The Shell Seekers," died February 6, the Guardian reported. She was 94. Author Robin Pilcher described his mother as a "a wonderful, rather alternative-thinking mother--I think she might have liked the description bohemian--who touched and influenced the lives of many of all ages, not only through her writing but through personal friendships." The Shell Seekers, Pilcher's 14th novel, was published in 1987 and spent 49 weeks on the New York Times bestseller lists, selling more than 10 million copies. A TV adaptation starred Vanessa Redgrave. Pilcher's other books include Coming Home, September and Winter Solstice. "Rosamunde Pilcher was groundbreaking as she was the first to bring family sagas to the wider public," said novelist Katie Fforde, president of the Romantic Novelists' Association. "Houses full of secrets, families full of lies, beautiful settings, page-turning plots. With The Shell Seekers she changed the face of romantic fiction." Sue Fletcher, Pilcher's editor at Hodder & Stoughton, observed that "she was in her nineties, but I think the world is a poorer place without her. She was a wonderful writer. The warmth and humanity of her writing was matched only by the warmth and humanity of her personality. She was so much fun, and a much-loved friend." Pilcher "began writing at the age of seven and published her first story when she was 19," the Guardian reported. She wrote for Mills & Boon under the name Jane Fraser in the late 1940s, and published her first novel as Rosamunde Pilcher, A Secret to Tell, in 1955. "Today, Rosamunde Pilcher tours are run in Cornwall, taking busloads of tourists to the locations in her books, and more than 60 million copies of her books have been sold around the world." Hodder & Stoughton CEO Jamie Hodder Williams told the Bookseller that Pilcher was "a one off--charming, trenchant, witty and powerful.... She was enormous fun to spend time with, and Sue Fletcher her editor and Kerry Hood her publicist developed very close and long-standing bonds. Her heartwarming novels about families and the places that mean most to them inspired generations of future writers. She will be sorely missed but I hope millions more readers continue to fall in love with her work." 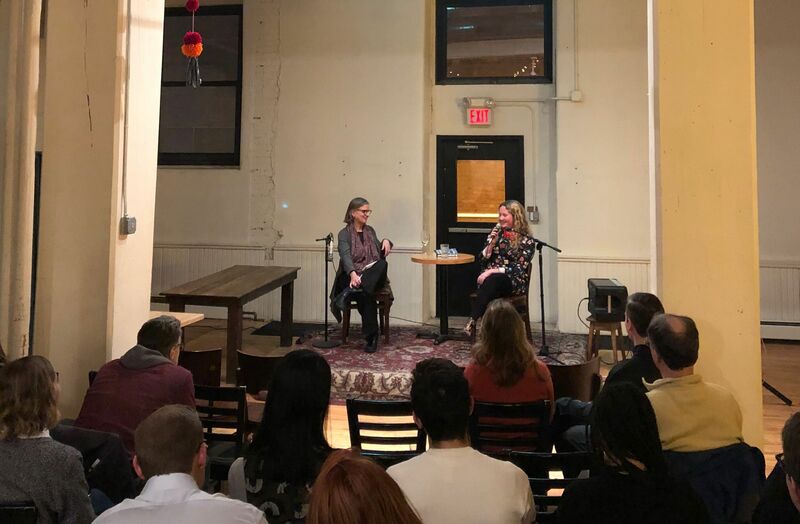 SubText Books in St. Paul, Minn., hosted an event with Daisy Johnson (above, right) for her novel Everything Under (finalist for the 2018 Man Booker Prize). Johnson was in conversation with Graywolf publisher Fiona McCrae. The event took place at the nearby Black Dog Café. In Philadelphia, "and many other markets across America, independent booksellers are defying conventional wisdom and staging a comeback," WHYY reported, citing the addition of Uncle Bobbie's Coffee & Books in Germantown, Shakespeare & Co. in Rittenhouse Square, and A Novel Idea in South Philadelphia. There are 18 American Booksellers Association members in the city. When Alexander Schneider and Christina Rosso-Schneider opened A Novel Idea in late 2018, they were busy from the start. "A lot of people come in and say, 'I'm so glad you are here. I've been waiting for a bookstore on the avenue. I've always wanted something like this here,' " Rosso-Schneider said. "Between our soft opening and our grand opening, it was absolutely insane. There were just people everywhere, and everyone was so gracious and welcoming. It was more than my wife and I could have ever asked for." Isabel Ballester, the events coordinator for Uncle Bobbie's, added: "Right now, there is so much erasure of black consciousnesses and spaces where we can be our authentic selves, so it's more important that people who look like us are making time for these spaces to be cultivated. What makes us different and unique is that we are specifically catering to such a niche group of people that what we are doing isn't just about bookselling. We provide a whole experience, on so many different levels, that Amazon and e-books can't do." 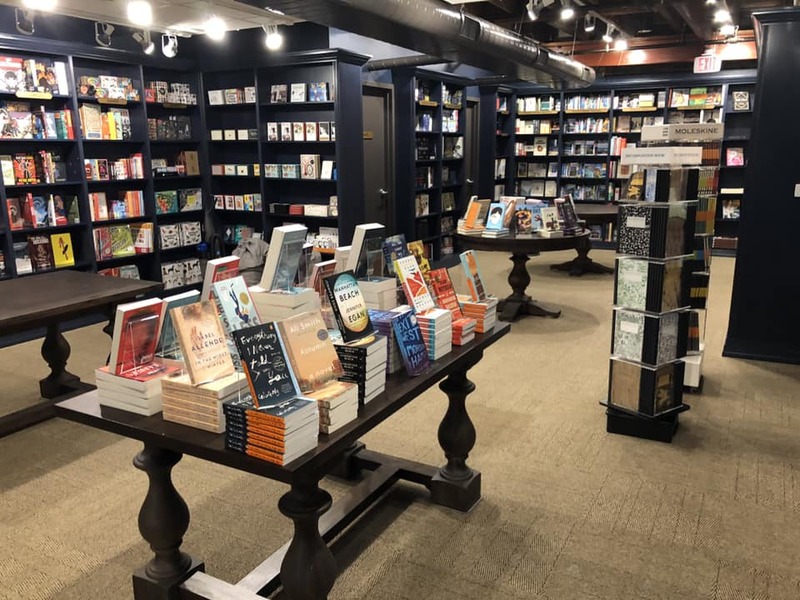 Citing positive factors like "curation, convenience and community," WCVB-TV in Boston reported on the "reinvention of independent bookstores" in the city. Among the bookstores featured were Trident Booksellers & Café, "an icon at the Mass. Ave. end of Newbury Street"; the Frugal Bookstore, "part of the rebirth of Roxbury's Dudley Square"; and the Silver Unicorn, which "fills the hole for locals created by the closing of Willow Books created." 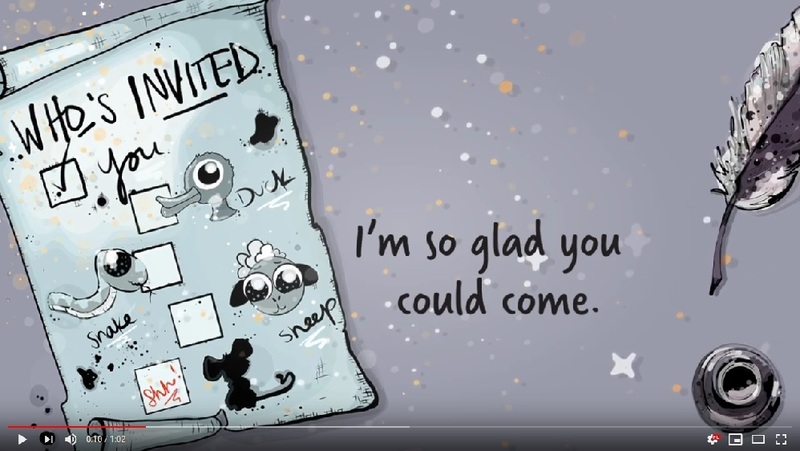 Book Trailer of the Day: Hoo Hoo Who? Hoo Hoo Who? by Mary Maier and Lauren Horton (Building Block Press). The Story of Us, a new movie that is part of the Hallmark Channel's Countdown to Valentine's Day programming, premieres February 9. TVInsider reported that this story "of a little bookstore and rekindling love from the past takes place in Waterford, Ore., where Maggie Lawson (Psych, The Ranch, Angel from Hell) plays Jamie, whose love of books and romance made her buy one of the town's oldest businesses, True Love Books and Café. However, True Love Books, along with countless other stores in the district are struggling, with many closing one after the other." Enter Sawyer O'Dell (Sam Page), "who comes home after years as an architect with a developer's mission to modernize and upscale the business district.... As Valentine's Day approaches and closure of these historic stores seems imminent, Jamie hatches a heartfelt plan. Behind a bookshelf she finds a box with 'The Story of Us' written in script across the front. Inside are many handwritten Valentines from past customers who found their true love at True Love Books. She showcases these prized time-worn cards to remind people of both the store's and town's history." Warner Bros. and Michael B. Jordan's Outlier Society have acquired film rights to Marlon James's new novel, Black Leopard, Red Wolf, in "the first acquisition since announcing their first-look deal," Deadline reported. James will be an executive producer on the project. Water's End Productions has picked up Women in Sunlight by Frances Mayes (Under the Tuscan Sun) to develop as a film, Deadline reported. "What an exciting opportunity this is to work with the visionaries at Water's End," said Mayes. "Julia, Camille, Susan and their narrator, Kit, will light up the screen with their vibrant passage to Italy." "Frances Mayes's books transport us not only to foreign destinations, but they also make us feel that we, like her characters, have changed inside," said Water's End founder and principal Tom Dolby. "I'm thrilled to bring not just one, but four multi-faceted female main characters to the screen. Among many of its compelling themes, Women in Sunlight is a story about female friendship, as well as one about throwing out preconceived notions of what it means to get older." Caitlin Hamilton Summie has won the fourth annual Phillip H. McMath Post Publication Book Award, sponsored by the Arkansas Writers MFA Workshop at the University of Central Arkansas, for her short story collection, To Lay to Rest Our Ghosts (Fomite Press). Author and literary advocate Phillip H. McMath said, "Caitlin Hamilton Summie writes with that sublime sense of 'place' that is particular and universal, bounded and boundless, known and somewhat new, that great writers have. Whether it is big city, rural or small town, she reveals the same two things wrapped in a slightly different but always poignant package, mutability and the loss of love, and, as she touches one, she resonates the other. Offering just the right detail: 'dog tags,' a 'VW bus named Fred,' 'fish eyes in moonlight,' she tells us everything and leaves the rest where it belongs, in the ever-powerful negative space of the imagination. Caitlin Summie has a very special gift, indeed. Marvelous!" Summie is known to many in the business as co-owner of the book marketing firm Caitlin Hamilton Marketing & Publicity, founded in 2003. An 18-title shortlist in three categories (illustrated books, younger fiction and older fiction) has been announced for the Waterstones Children's Book Prize, which are chosen by the company's booksellers. Category winners, who will be announced March 21, receive £2,000 (about $2,595) and one overall winner will be given an additional £3,000 (about $3,890) as Waterstones Children's Book of the Year. See the complete shortlist here. Waterstones' children's buyer Florentyna Martin said: "Children's books are firmly at the heart of our shops. Knowledge of their local communities, and the pleasure in recommending the best books to their customers, gives our booksellers a unique and pivotal role in championing new talent. Now, more than ever before, there is real playfulness and creativity noticeable in children's books. This year's list showcases an exploration of wide topics including world-folklore, black history, mental health, refugees and the world around us, through dynamic forms of poetry, fables and sweeping fantasies. It is a truly enthralling time for children's writing, and our booksellers have keenly chosen shortlists that they are inspired to share with readers and, in doing so, recognize the creators who will shape the future of children's stories." 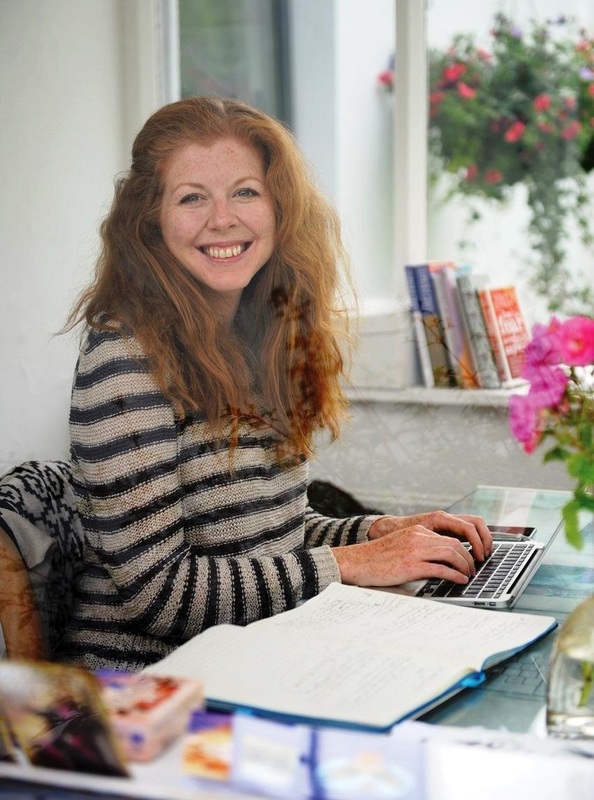 Marianne Power is a freelance journalist and writer who lives in London. Her first book, Help Me! 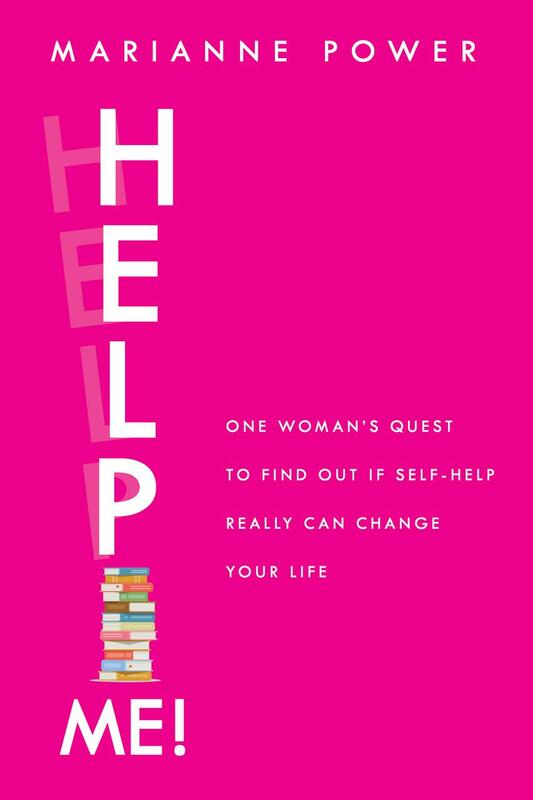 : One Woman's Quest to Find Out If Self-Help Really Can Change Your Life, was recently published by Grove Atlantic. Crudo by Olivia Laing, Don't Skip Out on Me by Willy Vlautin and Attached by Amir Levine and Rachel Heller. Pretty typical stuff for a girl in England: The Famous Five, Roald Dahl, Little Women. Then as the moody teen years started, I moved on to all the Judy Blume books, Wuthering Heights and Jane Eyre. Willy Vlautin's characters break my heart. David Sedaris makes me laugh with every sentence. Dolly Alderton is a young British journalist and writer whose writing is so funny and real I am often overcome with jealousy while reading her. Jealousy also strikes with Sally Rooney. I also admire Anne Lamott's honesty--Bird by Bird was a help in the writing process. Eleanor Oliphant Is Completely Fine, A Little Life (I'm still not over it) and all of Willy Vlautin. Sally Rooney's Conversations with Friends. The book was even better than the cover and I enjoyed her next book, Normal People, even more than the first. Such talent. Flowers in the Attic by V.C. Andrews and also the copy of The Thorn Birds that I nicked from the bookshelves in the living room and took to my room to read the naughty bits. I read Josephine Hart's Damage while on my first holiday without my family when I was 18. I was on a sun-lounger by the pool of the apartments in Corfu and it was like a punch to the guts. It was the first book that made me think "I want to be a writer." Two of Samuel Beckett's lines were daily companions as I wrote this book: "Fail again, fail better" and "I can't go on, I'll go on..."
I find it hard to throw away any book I enjoyed, but I'm most sentimental about books I read as a child. I'll never part with my school copy of Wuthering Heights which is annotated with color-coded scribbles, ditto my first copies of Macbeth and To the Lighthouse. Mum gave me a hardback of the collected works of F. Scott Fitzgerald when I was a teenager, and holding it reminds of being in my bedroom when I was that age, reading until the small hours. I was a much better reader before the Internet. Anyway, what can you do? More recently, on my self-help adventure, I fell in love with the weirdly written The Power of Now by Eckhart Tolle. It's fallen in the bath, has the scribbles of a madwoman in the margin and part of the back cover is ripped, but it has become my bible and just holding it makes me feel calmer. Chicago has had a reputation for violence and crime since the rise of the mob in the early 20th century. Legendary figures like Al Capone shaped the way the world looks at the third largest city in the United States, and the violence that regularly occurs throughout the South and West sides of the city is used as political wedge and note of caution. But stories of gangs and menaces to society are rarely illuminating, drawing the people of Chicago in caricature instead of revealing their humanity. Thankfully, there are writers like Alex Kotlowitz, who take up the mantle of telling real stories of the city. Since his groundbreaking book There Are No Children Here, Kotlowitz has immersed himself in the lives of people across Chicago, using his keen eye and deep empathy to portray a city of staggering complexity. An American Summer, a collection of vignettes all taking place during the summer of 2013, is another addition to his remarkable work charting the stories of the Windy City. The sections are in chronological order, from the start of the summer of 2013 to its end, and most are self-contained. The notable exception is "The Tightrope: A Story in Four Parts" whose start and conclusion bookend the collection. "The Tightrope" follows a teenager named Marcelo who commits a series of robberies in early May. A successful student who had distanced himself from a previous gang affiliation, Marcelo's actions are a messy result of old loyalties, teenage decision-making and peer pressure. Kotlowitz, who met Marcelo during his sentencing, never makes excuses for the young man, but instead shows how one day of foolishness could easily destroy the years of hard work Marcelo has put in to build a bright future for himself. Readers who at the start of the book might be ready to write Marcelo off will find themselves rooting for him at An American Summer's close, knowing that his acts in early May 2013 aren't all there is to the young man. Kotlowitz has an uncanny rapport with all his subjects, sitting down with them for months or years, learning about their struggles from friends and family and creating a compelling, incredibly readable depiction of their lives. There is pain, death and deep sadness throughout these pages, but also love, forgiveness and new beginnings. Kotlowitz presents life as it is for those living in Chicago: the chaos, tragedy and connections that give life meaning and hope. --Noah Cruickshank, director of communications, Forefront, Chicago, Ill. 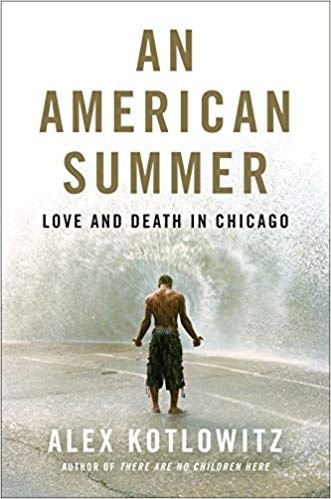 Shelf Talker: Alex Kotlowitz's An American Summer is a tragic, affirming look at the lives of Chicagoans during the summer of 2013. 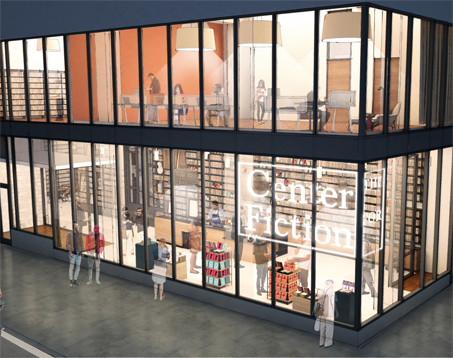 "We have three bookstores in the Netherlands and are currently working on getting up a fourth store," said Fabian Paagman of Paagman bookstores. "We're a family business, started by my grandfather in 1951. And today I operate the business with my sister, the third generation. Most of that time we only had one store. Our second store we only opened five years ago or so. Embarking on a journey of multiple stores has been quite a recent experience for us, but it's good. We're working on the fourth. It is a proven success so far." Jessica Stockton-Bagnulo, co-founder with Rebecca Fitting of Brooklyn's Greenlight Bookstore in 2009, said that when a second store was under consideration, "Fort Greene is the neighborhood where I live; Prospect Lefferts Gardens is the neighborhood where Rebecca lives. We felt like we had enough of a connection to that neighborhood and there really were no bookstores nearby. So we thought maybe it was worth pursuing. We were able to find a space and get funding. We opened our second location in 2016, and then apparently we weren't done because we opened a stationery store, again in the Fort Greene neighborhood, in 2018." In 2013, Chris Morrow of the Northshire Bookstore, Manchester Center, Vt., opened a second location in Saratoga Springs, N.Y., where a downtown Borders store had been "very popular and I think was one of their profitable stores until they went bankrupt in 2011. Saratoga and Manchester were close enough that we shared customers. People would come to Manchester for shopping and whatnot. The city started recruiting us to come to Saratoga and, really, I ignored it for a little while. Then they really were quite aggressive in an endearing way, so I started to check it out and it just kind of snowballed from there." To open the panel "Thriving as a New Bookstore Owner," Tom Nissley of Seattle's Phinney Books and Madison Books joked that the session title seemed "pretty cocky on the part of the ABA. Five years ago, this might have been called 'surviving as a new bookstore owner.' "
While attending the University of Kansas, Danny Caine of the Raven Book Store in Lawrence worked part-time at the shop and "just fell in love with bookselling and the industry and tried to get as involved as I could in every aspect of the store.... Then one night, during a particularly difficult and tedious in-store event, the owner said maybe I'll just sell the store to you. I laughed, but as we were leaving that night I was like, but seriously if you ever want to sell, talk to me first.... So the seed was planted and there was a long process, but eventually she offered a price. I did a ton of research... and then after another basically six months of soul searching, I decided to pull the trigger." Angela Maria Spring of Duende District Bookstore in Washington, D.C., and Albuquerque began her career as a bookseller while she was a student at the University in New Mexico. After moving to New York City, she worked at McNally Jackson, "which was I think the most pivotal part of my bookselling career, where I really felt like I wanted to do this." From 2010 to 2016, she was at Politics and Prose Bookstore in D.C. "I always thought I wanted a store, but I never really wanted a store that was like a normal store," she said. After the 2016 election, "I really had to come to terms with a lot of things about my own identity and also the fact that I am very community rooted.... And so I started Duende District, which is intentionally experimental." Brad Johnson, owner of East Bay Booksellers (formerly DIESEL, a Bookstore) in Oakland, Calif., said, "DIESEL thrived for a very long time.... So I was managing the store and the owners just sprung it on me one day if I would be interested in buying the bookstore.... We wanted to make it as positive a transition as possible. It wasn't a matter of one of the owners being sick; it wasn't a matter of the store being under financial duress. We wanted to do it at a time and in a circumstance when it would feel positive... Because of the success of the store, my job was basically not to f**k it up, but also make it something different." Nissley recalled that "it was almost exactly five years ago, the day after Winter Institute when it was in Seattle. I got an e-mail that my neighborhood bookstore was for sale. And I had worked for Amazon for 10 years. I'd already left. I'd written a book. 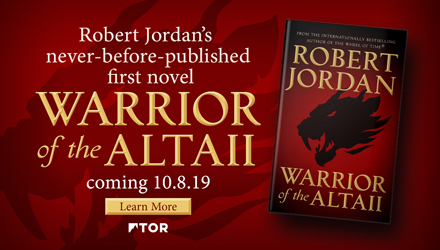 I thought I was going to be writing more books.... It was not my plan even then to take over the store, but the more I looked into it the more it seemed feasible, like something I might actually want to do. Four and a half years later, I have a store and I'm about to open a second store, which means that I must be bored or stupid." A common thread can be found in something Spring said about her time at McNally Jackson, where she had been a colleague of Stockton-Bagnulo's: "We worked together when she was the events coordinator, and she was the first person who ever said the words, 'I'm a professional bookseller, aren't you?' And I was like, 'Oh! Maybe I am.' "